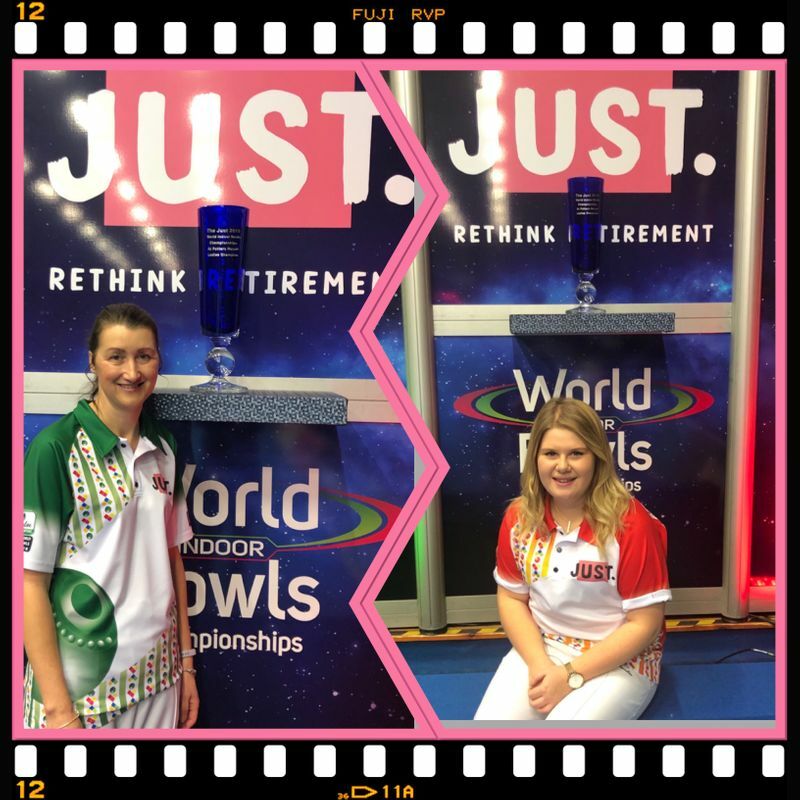 The JUST Women’s World Matchplay Singles took centrestage earlier today with eight participants all vying for a berth in Wednesday’s semi-finals. First to book her place and the possibility of becoming the first player to take the title for a record extending fourth time with the added bonus of winning this crown three times on the bounce to equal the record set by England’s Carol Ashby between 2002 and 04, is diminutive pocket rocket Katherine Rednall. She first won this title as a 17 year old in 2014 and has played in this event for the past six years, reaching the final on four occasions, winning three and losing to Laura Thomas (now Daniels) from Wales in 2015. She found herself on the back foot in the early stages of her game against Scottish qualifier Melanie Darroch from Elgin, trailing 5-0 and 8-3 after just four ends, but she scored on four of the closing five ends to share the set 9-9. In the second though she maintained her form and did the business 11-2. Her opponent in Wednesday’s semi-final will be Julie Forrest from Teviotdale in Scotland. Julie, aged 50, is another very accomplished player winning titles at world, international and national level, the last of which was just two short weeks ago when she went into the record books as a seven time winner of the women’s Scottish National Indoor Singles crown. However this world title has so far eluded her. This is her 10th visit to the event and she has missed out at the semi-final stage on five occasions – twice to Carol Ashby in 2003 and 04, Caroline Brown in 2005, Alison Merrien MBE in 2011 and lastly Rebecca Field in 2014. This time round, she came up against the very successful 32 year old Welsh star Kerry Packwood and knew she would need to bring her ‘A’ game to the rink, which she did , winning 10-3, 10-2 with an end to spare in both sets.